Yes I'm running Everspace on a mac It run beautifully though, and I have no problems (besides this one) so, on to the topic. I noticed this first with the outlaw sniper. When he was revealed there was just 2 white tiles that zipped around. At first I thought that it wasn't loading the sniper model, BUT THEN I took the scout and happened to press z while cloaking and voila. same thing. This also happened when fighting okkar fighter mk3's equipped with cloaks. 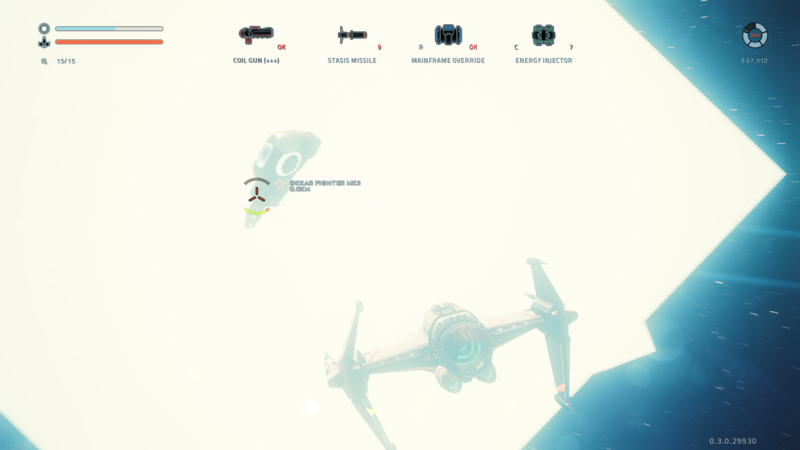 The cloaking is very bright and unsettling while playing in the dark, but its manageable. just wondering if anyone else is experiencing this. sorry I didnt get it from farther away, it only appears for 1 second or so. Thank you for the detailed report, as well as a screenshot.